A 6.6-magnitude earthquake rocked the Aru Islands, Maluku, on Saturday at 5:12 p.m. local time, prompting residents to run out of their homes. Two buildings were damaged. No injuries or casualties have been reported. The earthquake’s epicenter was detected northwest off the coast of Dobo, the center of the archipelagic regency, and at a depth of 10 kilometers. 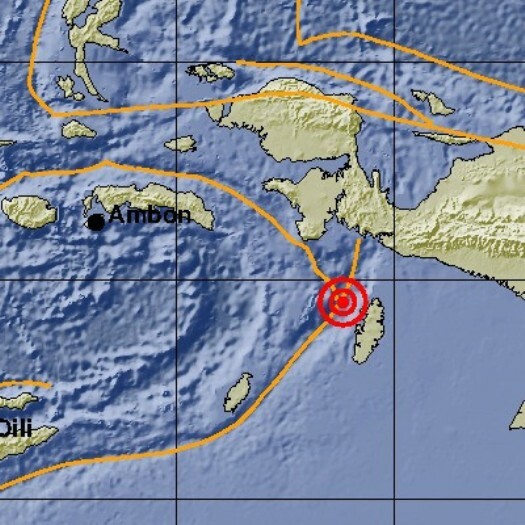 Tremors were felt as far away as Timika, Papua. They were strong enough to lightly damage a house and a hospital in Dobo, according to the National Disaster Mitigation Agency (BNPB). “All of us ran outside because the tremors were strong,” said Dobo resident Demy as quoted by kompas.com. He also said that the earthquake lasted almost 10 seconds. Local authorities are still assessing the extent of the damage caused by the earthquake.